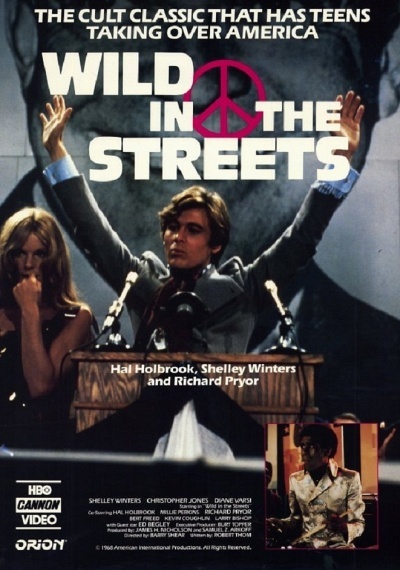 Wild in the Streets :: Movie Information :: RabbitTV GO! Futuristic drama about a society in which youth governs and the over-35s are herded into "retirement camps." Christopher Jones, Shelley Winters, Hal Holbrook. Albright: Ed Begley. Sally: Diane Varsi. Stanley X: Richard Pryor. Mary: Millie Perkins. Max Sr.: Bert Freed. Billy: Kevin Coughlin. Jimmy: Michael Margotta. Barry Shears directed.